To celebrate the 100 years of strong females that have helped shape the world we live in today, our MD Kate Cox, shares her own inspiration. The strong females from within her own family – the Holmes girls. In particular, her nana, Barbara Holmes. Born in Beckwithshaw, she was a force of nature, losing her mother at an early age, she was brought up by her blacksmith father in the local village pub. 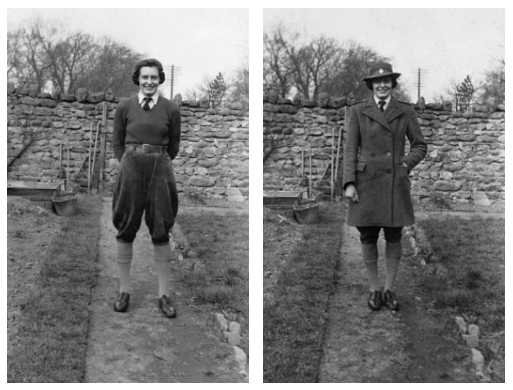 She literally helped run the village, the pub and the land throughout the war, working in the Land Army. “Her determination and her refusal to be broken is very much a characteristic of the women in my family” says Kate. Kate shares her nana’s story, which has recently been brought to life by her author mother, Jenny. An extract taken from the Author’s Note, in her most recent book, The Land Girls by Jenny Holmes.